Dill pickles are always a compromise. Okay, that sounds a bit strange to say, but in the pickling world, there is always a trade-off between taste and shelf life. If you need industrial-strength pickles that will last through a zombie apocalypse, you’re going to have to prepare your jars like they are going to be used in surgery, and crank up the levels of salt and vinegar in the pickle juice. That results in limp, sour pickles that have zero hope of ever tasting like cucumbers in any way. Enter refrigerator pickles! Organic from our garden, with love! If flavor is what you are after, you’re going to have to preserve your pickles in a refrigerator, and it’s probably wise to use them within a year. The good news is that unless you make an excess of them, when they taste great, they’re usually long gone before then. So this is the angle we’re taking here. …Refrigerator dill pickles that taste better than the expensive pickles in the refrigerator section of your grocery store, and they cost practically nothing! Good pickles always start with fresh ingredients. We tend to plant our dill and cucumbers in the garden at the same time every spring, because by the time the cucumbers are ready, we always have dill in all three of the necessary stages. 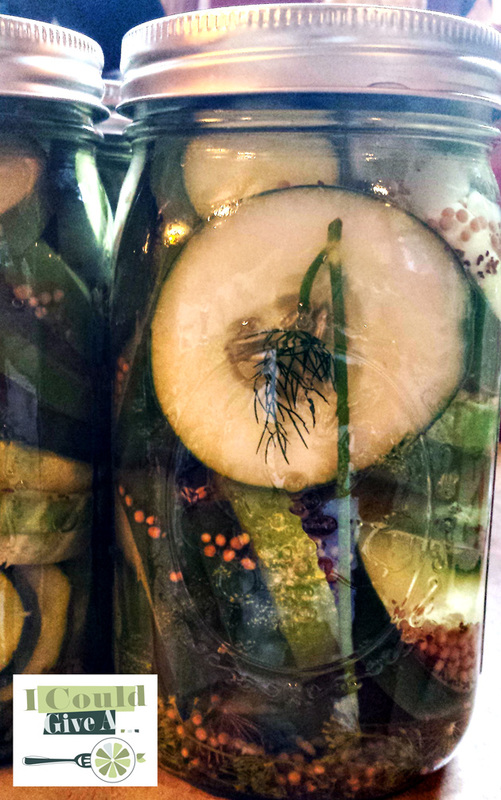 If you can grow the dill and cucumbers yourself, then do so! They are really easy. 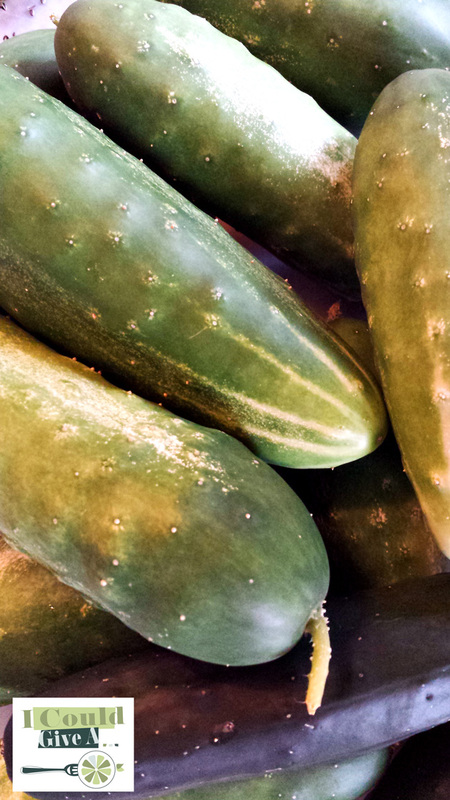 The variety of cucumber that we grow is a prolific heirloom called “Straight Eight,” and they require little care. Dill will grow just about anywhere, whether you want it to or not. 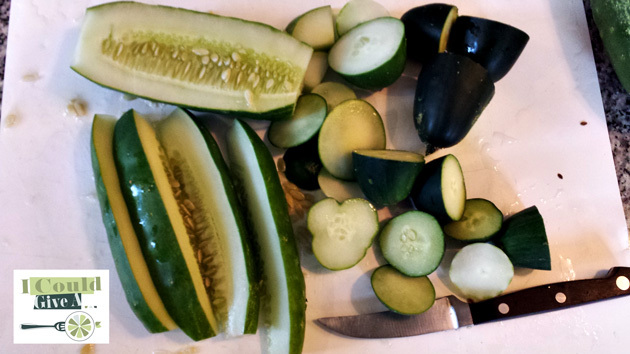 Cucumbers and dill cukes from the store are seldom suitable for crisp pickles for many reasons. They are normally too old and mushy, are often coated in some mystery wax that prevents the absorption of pickle juice, and they are just too danged expensive! “Fresh” cucumbers often run from $1 to $2 apiece in some stores, with ones stamped “organic” costing more at times. 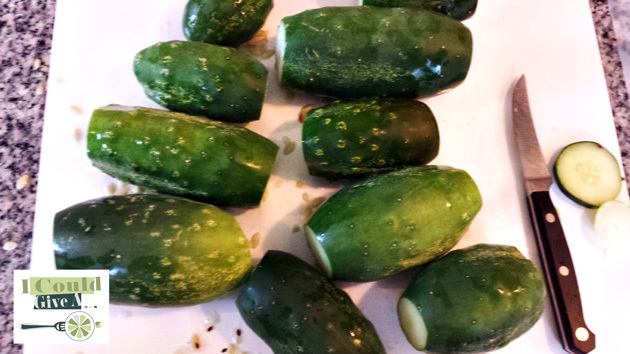 When you consider that it will normally take at least two large cucumbers to fill a quart jar, you risk having several dollars per jar in waxy, soggy, GMO, pesticide pickles. Instead, grow them yourself, or support your local grower at a farmers’ market where you can get fresh, organic cucumbers on the cheap. …Ditto all the above for dill. 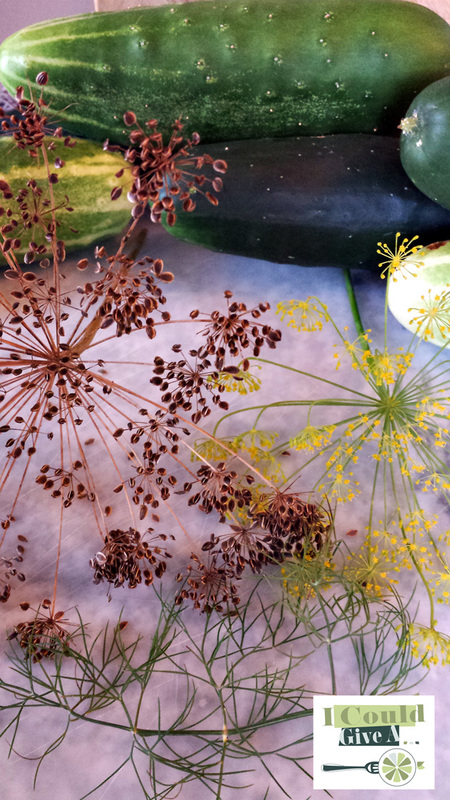 For the best dill flavor, we always use fresh dill flowers, leaves, and seeds. Onion, garlic, spices, and vinegar: Fresh is always better, but for pickles, these things really are just as good if you get them at the grocery store. As for vinegar, anything white, distilled, and gluten-free will do. If you can somehow make your own vinegar, call me impressed! We use Kroger Brand. Since we grow everything ourselves except for the jars, vinegar, mustard seed, and celery seed, counting the jars, we only have around 80 cents in each quart of pickles we make! 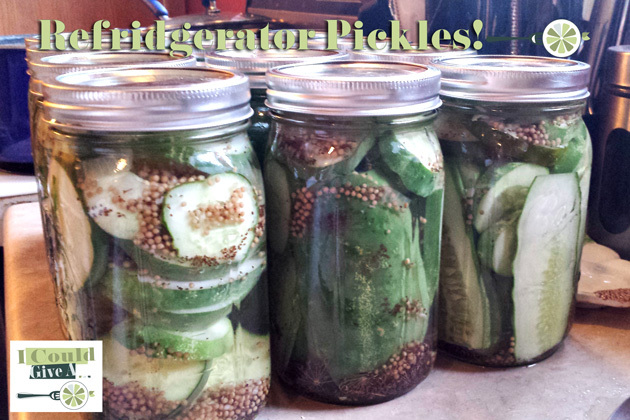 Take away the jars (because they are reused), and we only have around 10 cents in every jar of pickles! Chips are a hamburger’s best friend. Jars come in boxes of 12, and since we have a plethora of cucumbers and dill, this recipe will be for approximately 12 quarts of pickles! We love to stuff things in jars! Start by thoroughly washing wide-mouth jars, lids, and bands. 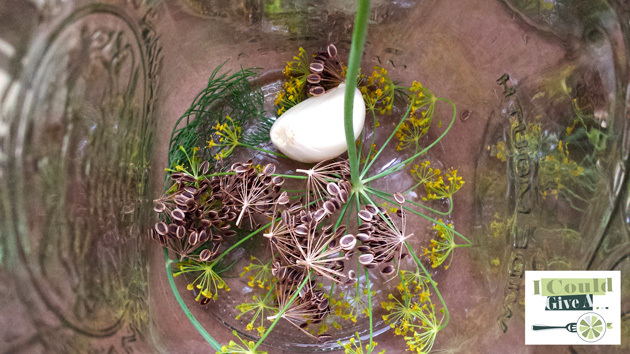 In the bottom of each jar set one large garlic clove, one fresh dill flower, a sprig of fresh dill leaf, and the seeds from a single dried dill flower (or half a teaspoon of dill seed). 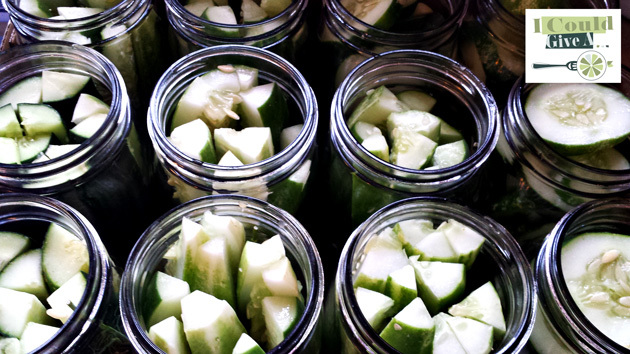 Jars normally only allow for 5 inch long pickle spears, so one cucumber at a time, cut off both ends to trim them to length, and set the ends aside. Cut the trimmed cucumbers into spears and stuff them tightly into the jars, but not so tight that you won't be able to get your pickles back out! Once several jars of spears have been filled, cut the remaining end pieces into "hamburger chip" shapes, and stuff a few jars with those. In a large pan, combine the vinegar, water, celery seed, mustard seed, three minced garlic cloves, one finely-chopped onion, salt, and sugar. Bring to boil, and allow to boil for 15 minutes. While the pickle brine is still boiling, carefully use a dipper to pour the brine into each pickle jar, stirring the mix with each dip to capture a variety of the floating spices. Fill each jar to approximately half an inch below the top of the jar, wipe away anything that might prevent a good seal, and place on a lid and band. 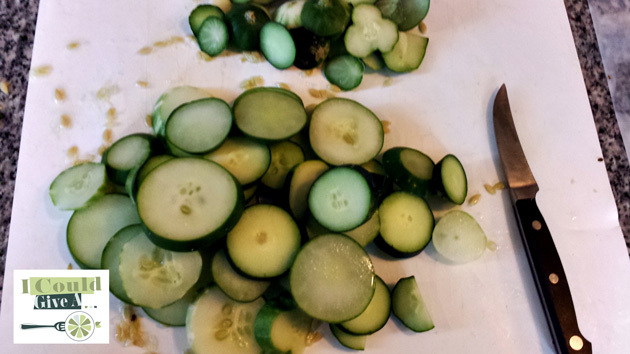 Don't worry if the cucumbers are sticking out of the mix a little bit. They will be fine. After the jars are all full and sealed, leave them undisturbed on the counter at room temperature. The lids will all seal within an hour or two. Once the jars cool to room temperature, place them all in a refrigerator for at least 48 hours before eating them. Leave the pickles in the refrigerator until they are all used up! If for some reason a lid does not seal properly, no problem! Eat that jar first!